Get ready for Valentine’s Day with a super simple treat pail DIY that takes just minutes to make! 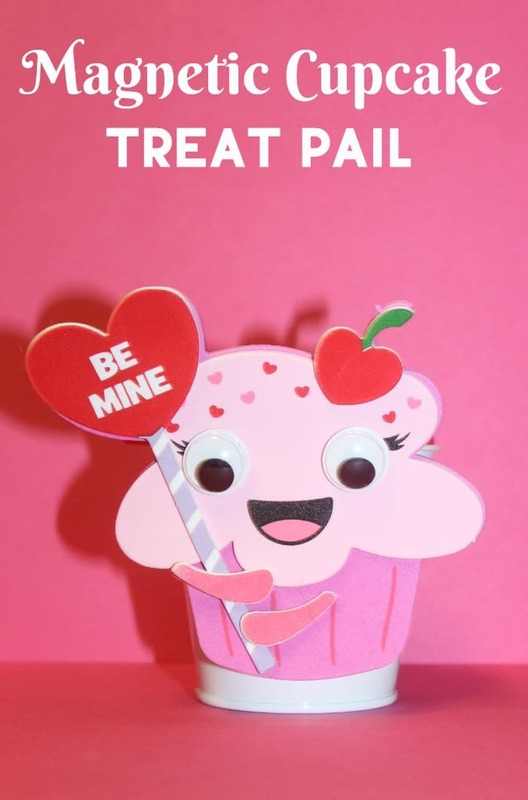 Fill it up with fun treats for kids and you have the perfect Valentine’s Day gift idea! I’m not a crafty person. I WANT to be crafty. I have huge, grand ideas for crafts and a massive Pinterest board filled with things I would love to make…if I had the talent and the time. Still, I like the whole Zen-ness of crafting. it’s relaxing, and as a high strung person, I definitely need all the relaxing I can get. Fortunately, you don’t need much crafting talent to put these fun treat pails together! Trust me, if I can do it, so can you! 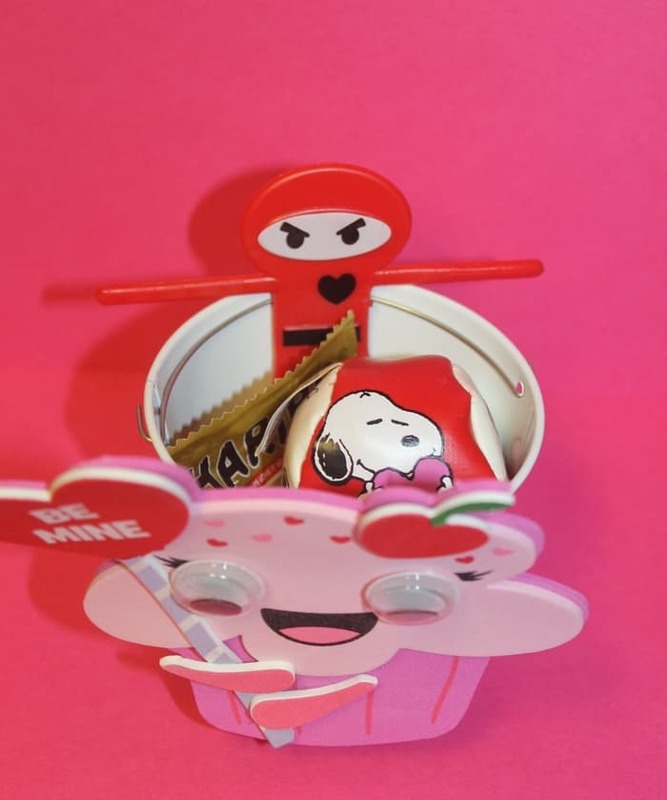 Check out how I made these DIY magnetic Valentine’s Day treat pails! The supplies for this craft all came from Oriental Trading Company. Everything comes in sets of 12, so these are great Valentine’s Day party favors. If you don’t need all 12, save the little pails for other crafts. I used them in my movie night post for candy! It’s crazy easy! For the cupcake one, I followed the directions on the craft. I added the magnet to the back and stuck it on the treat pail. Fill it up and that’s it! I’m really bummed that the cupcake kit is gone. If you want to make this particular design, you can still do it using foam sheets. I found this awesome template on DeviantArt. Just use markers to draw on the eyes, nose, mouth and little hearts. The upside to totally DIYing it, you can add any message where the “Be Mine” is. 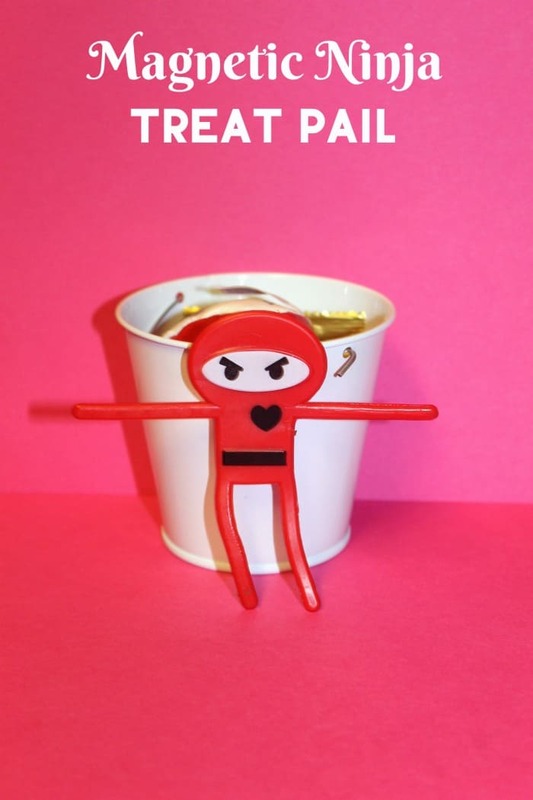 I also made a Ninja treat pail, which was even easier. I used a magnet from the other craft to secure him to the pail. That’s it. Crazy, crazy simple, right? All that’s left to do is fill it with some treats! If you make the Cupcake, the little bendy Ninja makes for cute filler. What sort of little treats do you like to give for Valentine’s Day? 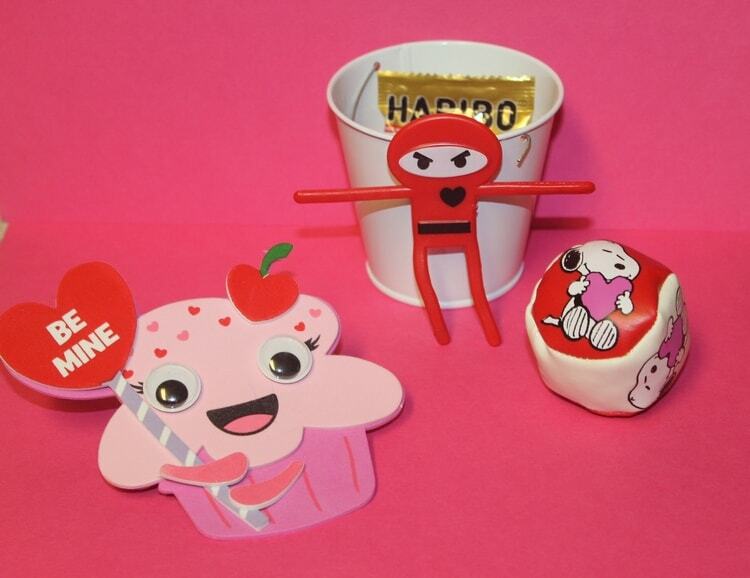 Awww these Valentine pails are so cute! They would be great to make for my granddaughter’s kindergarden class. That is such a fun idea! My kids would love it if I made these for their classes at school. These are adorable. I love Oriental Trading, I could spend a fortune on their site. Oh – these look fun! I wish my kids were still small where we could make these for the class and teachers! How awesome! What a cute idea!! I love the ninja! 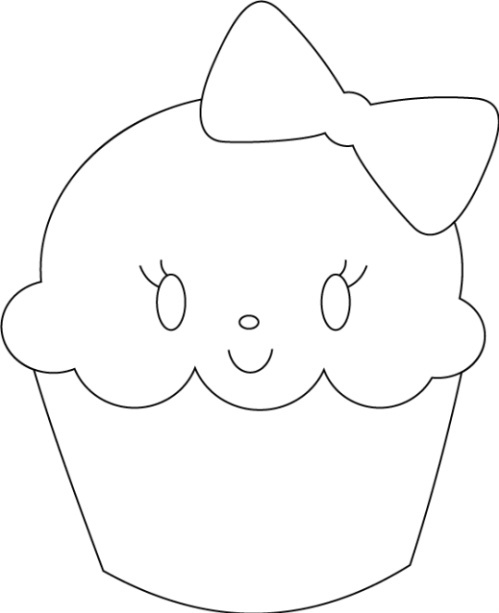 I also adore the cupcake haha, it is so adorable! I love oriental trading company. They have an amazing variety of party favors and so much more. Their catalog is like a candy store window for kids. These are too cute, and I totally love Oriental Trading! I like to order party supplies and stuff like that from there because they have so much of everything, and you can choose candies and things by color or theme. This is so much fun! My daughter would love these. Oriental Trading Company has so many amazing things. What a cute idea! Oriental Trading is one of favorites for craft projects. These would be so cute to give to friends/classmates. OM….These are just SO cute! I love the Ninja. These are super adorable! I can imagine this being a hit with all the kids! That’s a lovely gift for your child’s classmates on Valentine’s Day, as well as a nice part favor when you host a party! These are so cute and look like so much fun to do with my little ones!!! TY for sharing I am adding it to our crafts for this month! Looks like a fun DIY for Valentine gifts. I want that ninja guy. It’s too cute! I know my son will like this. Awe those are so cute! They are sure to be a great hit with the little ones. Great post! Thanks for sharing, this is so interesting I will try to follow as you do. These are so cute, I would totally make these for myself. This is such a great craft idea for little kids. Thanks for sharing. I have to share this with my kids, they would love making these. What a cute idea! My grandson would love to pass one of these out to each of his classmates!